The balance between work and childcare is something all parents struggle with, but it seems to be especially difficult for mothers. Whether we’re juggling a breastfeeding baby with the desire to go back to work, or trying to find childcare that costs less than our monthly salaries, the work/home divide is a minefield that many new parents don’t expect. These are just some of the reasons why moms are turning to the Internet to help them work from home in their spare time. So, if you’re a keen crafter who likes to sit and knit or sew during the evenings, why not use your skills to bring in some extra money? 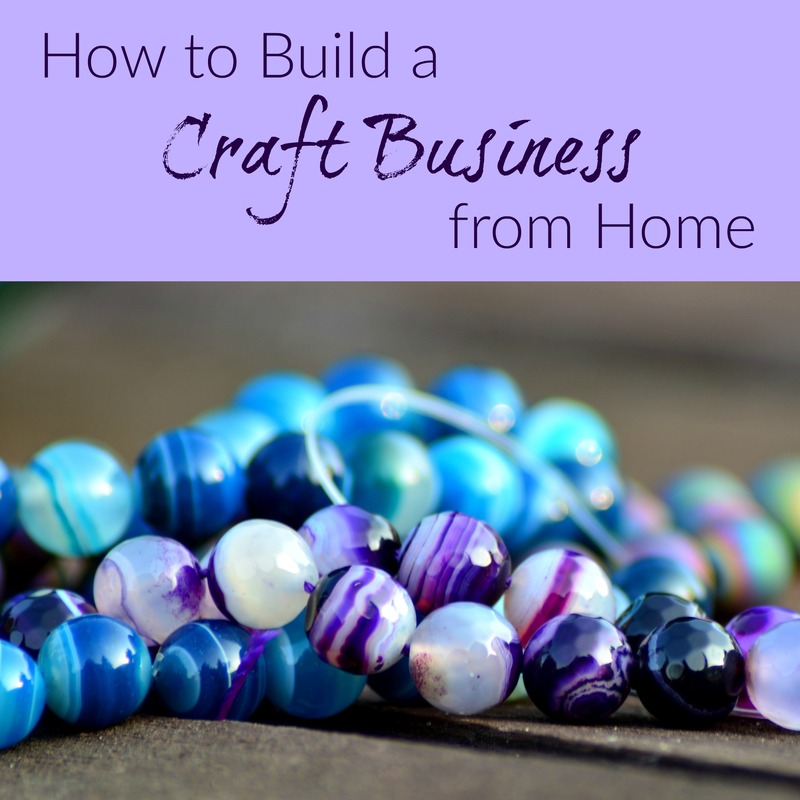 Here’s how to build an online craft business from home while your little ones are sleeping. Bear in mind that as your business grows, you will need more time to complete your orders. You are your company’s sole employee, so if you’re not available for large chunks of the day, your orders won’t get filled. Spend time mapping out how much time you have to put into your business and how you will respond to growth. Could you hire somebody else, for example, or rent an office space for part of the week while you get a sitter in for your kids? Or if your’re willing to invest you could hire companies like Circle Research to do your market research or other tasks you don’t have time to complete. If your children are school-aged and you’re home-based, you will have more time to devote to your craft business, but you may need to be more inventive if you’re usually looking after your kids. Selling your products is the only way to turn your hobby into a business, so your marketing is everything. As well as creating a website or using a marketplace like Etsy or eBay to sell your wares, you also need to advertise yourself on social media platforms like Instagram, Twitter and Facebook, paying particular attention to the photography used to promote your brand. You may decide to sell your products through a gallery or store. If so, figure out how you will approach sellers for payment. Make sure you’ve worked out all your costs, covering your materials, shipping costs and a decent hourly rate for your time. You may wish to add a little extra to the price so that there’s room to negotiate. How will you get your products from A to B? If you’re selling to customers directly, you will need to factor in the cost of and method of delivery.If you’re selling your creations through galleries or stores, you should figure out how you will respond to stock orders. Will you deliver the items yourself or hire a courier service such as askabsolutely.com to do it for you? Providing the service yourself can be cheaper than hiring a delivery driver, but it will cost you your time. If you plan to deliver your products yourself, consider what vehicle you will use. If you plan on delivering large orders, you can find second-hand commercial trailers for sale here. If you’ve always dreamt of building a craft business, now could be your time to shine. Spend time creating a business plan and working out how and when you will fulfill your orders, and don’t be afraid to aim high. Once you have made a name for yourself, either locally or online, the sky’s the limit for what you can achieve. I think it would be a wonderful and fun idea to turn your hobby into a business. My daughter is an artist and it is her hobby and she does sell some of her work. These are good ideas. Many folks like in a town you can’t do a craft biz from your residence, so having other options and knowing about them can make the difference being able to do it or not! Love this!! As a stay at home Mom I am always looking for ways to make extra money! I see so many adorable crafts and have tons of crafty ideas!! I love the internet giving us the capability to sell to a wider market and to people all over the world! My 21 year old daughter can paint. Boy oh boy, can she paint!! Wonderful talent. I keep telling her selling her paintings would be a wonderful way to add additional income! I think I’m going to have her read this. Thanks! !